TV5 Kids presents Disney Club wants to bring a lucky viewer to the happiest place on earth, Hong Kong Disneyland, through its cool and exciting Trip n’ Treat promo. Joining is fun and easy! Kids aged 2-15 years old will have to watch out for the happy character of the day on TV5 Kids presents Disney Club and text TV5KIDS (space) which appeared on the TV screen and send to 5656. The Trip n’ Treat promo will run from November 26 until December 14, 2012 and is open to Smart, Globe and Sun subscribers. There will be five winners of Disney loot bags per week and on December 14, 2012, one lucky texter will win the grand prize of a family trip for four to Hong Kong Disneyland. The prize package includes roundtrip airfare, accommodation in Hollywood Hotel in Hong Kong Disneyland and park tickets for two adults and two kids. Winners will be notified through registered mail, the official TV5 website, via email and telephone. To claim the prize, winners must present a valid ID, copy of birth certificate, 2 valid original government ID documents (driver’s license, passport, birth certificate, SSS, TIN) of parent or legal guardian and the SIM card used to send the winning entry. Authorized representatives must present a valid ID with photo and/or signature and an authorization letter. Be sure to catch the happy character of the day on TV5 Kids presents Disney Club, weekdays from 7:30-9:00am and get a chance to win an awesome Hong Kong Disneyland trip for four! 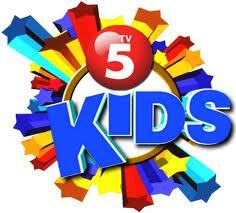 TV5 Kids presents Disney Club’s Trip n’ Treat promo is per DTI number 8536, series of 2012.